Now that a century has passed since the end of the First World War, is it inevitable that efforts to remember the events of the war will start to fade? Writer Stephen Smith travelled through northern France as the world observed the centenary of the armistice that ended the First World War. In a series of blog posts, he shares his impressions with Canadian Geographic. That was a bit of bravura, obviously. Bird and his comrades in the infantry would go on to face all the horrors we associate with war on the 1914-18 Western Front: mud and gas, the mayhem of machine-gun and shellfire, death. Bird survived almost three years in the middle of it all, and when he returned, 13 years later, it was as a writer. I carried his memoir And We Go On with me last week as I roamed through France and Belgium, trying to understand and maybe make some sense out of the slaughter of those years. I can’t say I succeeded in that, though it was a profoundly moving experience all the same. In 1931, a reporter’s notebook in hand, Bird wandered the battlefields he’d survived as a soldier to file a series of articles for Maclean’s magazine. This was mostly a documentary exercise for him, a gauging of what had changed and what hadn’t. The war’s destruction was still very much in evidence at and around the former front. He writes of meeting fellow veterans scouting the lanes they’d fought for, and of finding the detritus of war — bayonets, helmets, mess tins — in old trenches and hedgerows. In 1931, he hears reports of cattle that are still dropping dead from leaks of poison-gas from buried German arsenals. There is, in Bird’s reportage, an edge of disappointment: he’s not sure he approves of just how the French are rebuilding, and extent of all their new industry. It’s with an almost proprietary eye that he views what he sees as ugly new architecture, or finds fault in all the “flaring” advertising he sees in the towns he’s re-visiting. I wondered as I travelled many of these same roads what Bird, who died in 1984, would have made of what I saw as I navigated to this year’s centenary celebrations. Today, in places where millions of men fought and died in mud, the scars of warfare have been largely smoothed out and covered over. You can still find traces of traumatized landscapes near memorials at Vimy Ridge and Beaumont-Hamel, but even those only hint at former horrors. The fact that a hundred years have passed since 1918’s armistice gave added emphasis to this year’s commemorations. The parades were a little bit grander, as were the peace conferences; there were special art installations this year, museum exhibitions, spectacles of light and sound. There were, as there annually are, pipes and drums and bugles playing martial music; there were bells that tolled, and solemn speeches spoken. And there was, as there always is, a silence at the centre of it all. Will some of that start to fade from this point on? Now that the centenary has come and gone, I wonder whether some kind of threshold has been passed, just as it was in 2012 when the last living veteran of the war died. Is it inevitable now that efforts to remember the events and the suffering of the First World War will shift somehow, diminish? I think that’s up to us. For me, I haven’t registered any reduction in our obligation to surround the silence with which we honour the war’s dead with the facts of what happened. After my week amid the commemorations, the only conclusion I can say I’ve come up with is that, a century after the guns ceased to fire here, the stories of the First World War retain their vitality and power. The only conclusion I can say I’ve come up with is that, a century after the guns ceased to fire here, the stories of the First World War retain their vitality and power. 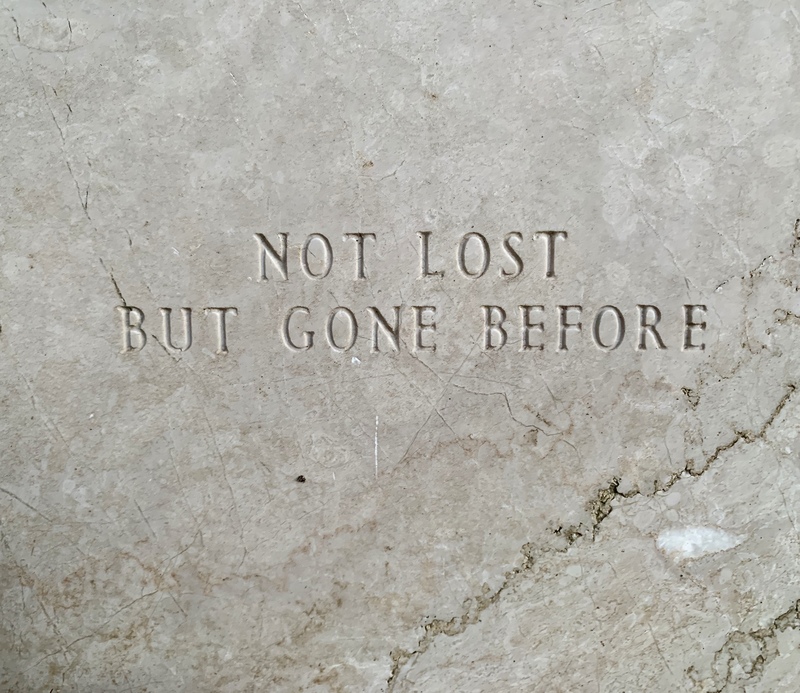 In the stillness of the hush that followed these words, before the bells struck the hour, I thought of a photograph of my grandfather standing, muddied, smiling, in a trench in 1915, when he was 24. Nothing else: just that. You don’t have to travel to European battlefields to concentrate on the pity of the First World War, on all those it killed, or displaced, on all the survivors whose lives were shattered by what they went through. If you get a chance to go — to visit Vimy, and continue on to Monchy, to Mons — my advice would be to do it, if you can. But more than an itinerary, remembrance is an act of imagination. The politics that ruined this place and a generation of lives a century ago may be beyond understanding, and maybe even forgiveness. For me, the continuing focus belongs on what the First World War teaches us about the human spirit, the kinship and kindness that soldiers and civilians alike summoned up in that terrible time, the bravery, the endurance, the resolve. There’s no other glory in war than that, so far as I can tell.